Tourist-Channel Slovakia - Michalová Tourist-Channel Slovakia: New homepage! Village Michalová was founded in 1778 as a settlement belonging to the Mining Chamber on the terrier of Brezno. It had existed near iron ore mines and mainly near blast-furnace mentioned as "polhorská" blast-furnace in a historical document because of existence some state dwelling-houses situated on the area of Pohronská Polhora built by the State assets and the Mining Chamber in Banská Bystrica and this in the time of taking decision about construction of blast-furnace (in the year 1795). History of Michalová has been connected with the blast-furnace since its foundation. Proof of the fact village was founded following the existence of the blast-furnace is noted in the names of streets like Trosky street (Cinder street) where cinder was carted through this part of village. Hrable street was named after a place in a brook where beechen timber was floated and caught there, where wooden coal was produced. Streets Horný rad and Dolný rad occured near the blast-furnace where prominent workers had been living - to be immigrated from Germany and the Austrian part of the Habsburg´s monarchy. Nowadays village is taking steps to orientate itself to developing small businesses and country tourism. A ski lift Tatrapoma H 130 2000m long, a boarding house 50m away from the ski lift (capacity 40 beds) are in operation. You can be acommodated at private houses near the ski lift. 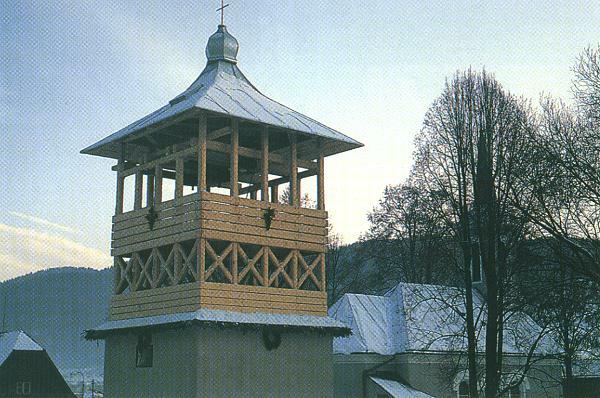 And the New Year´s Eve race has become tradition in the streets of villages Michalová and Pohronská Polhora.